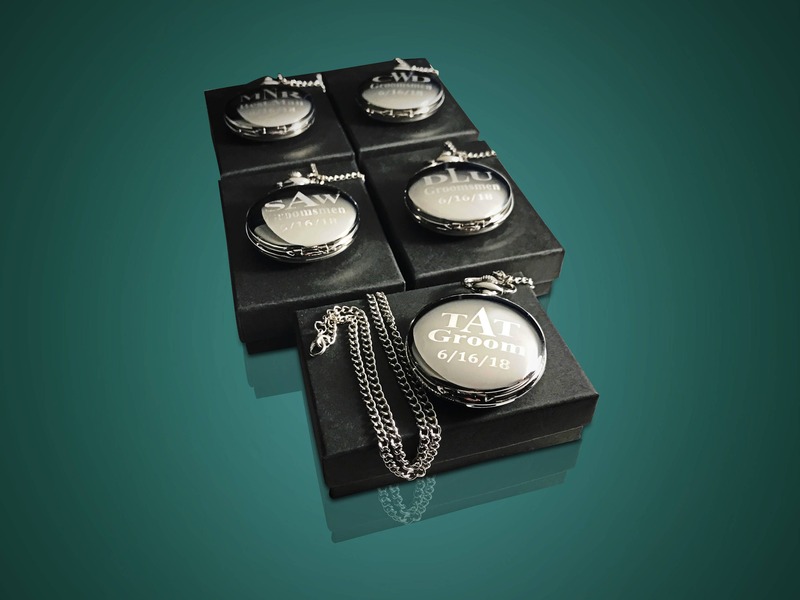 7 Silver Custom engraved pocket watches. 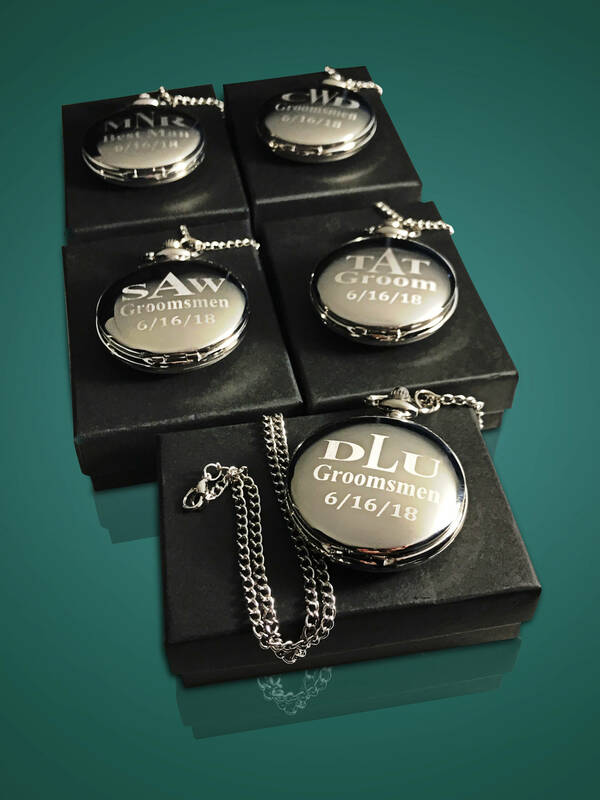 Customized battery operated pocket watch gift set. 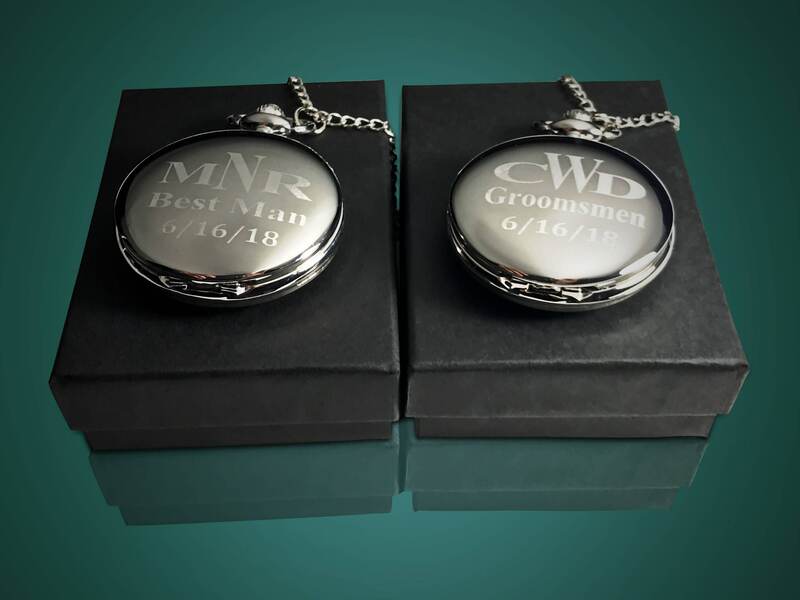 Unique Best Man and Groomsmen gift sets. 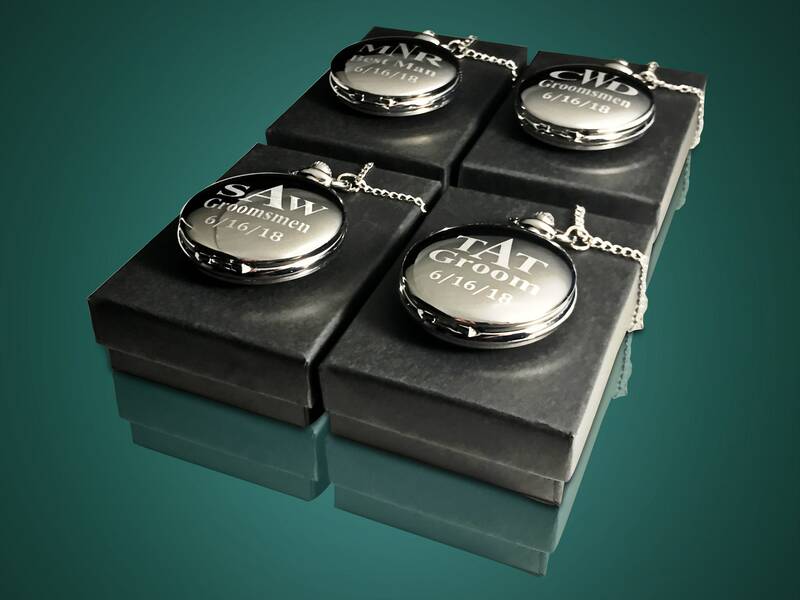 Gift boxes all included as well as the stainless belt chains. The chain is one size fits all and can accommodate any waste size. 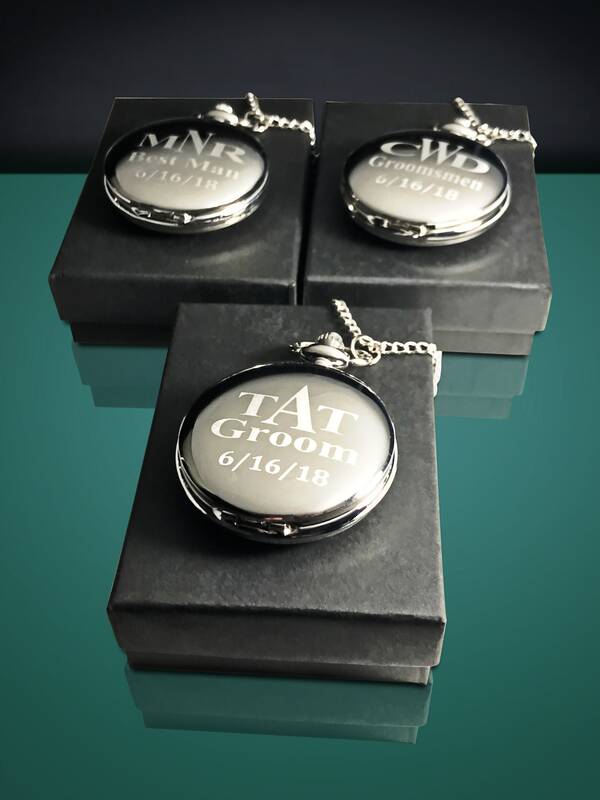 Initials will be engraved with the middle initial larger. When you order please send us the initials in that order. 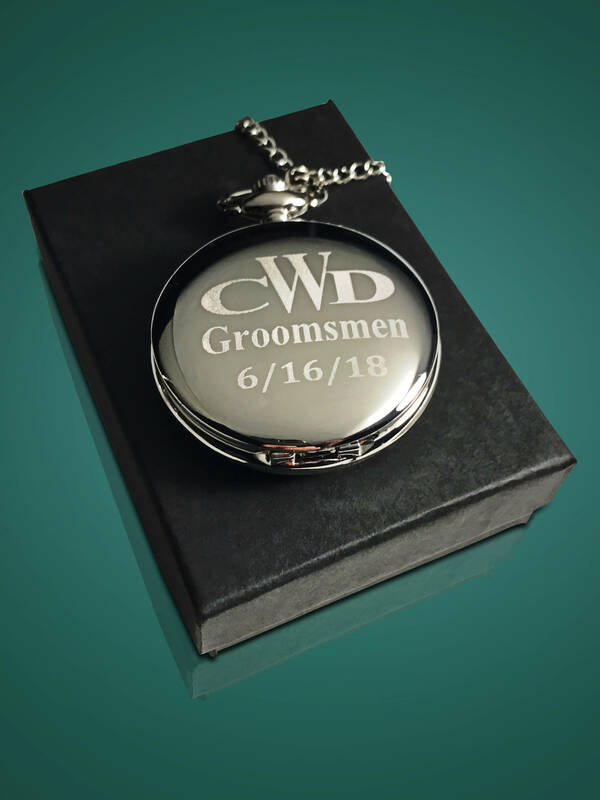 The position can be changed to Best Man or your choice of Groomsmen, Ring Bearer, The officiant, The Usher and the Father of the Bride or Groom. You can choose up to 3 lines to engrave on this pocket watch, The Name or initials, the title and the date. 2) Choose The name, initials, the position or title and the date. If your unsure your name or message will fit please message us. no extra costs to you! Exactly what I was looking for . Made to match what i had imagined & received quickly in perfect condition & already boxed for gift giving ! Thank You ! !